The mystery of how the gigantic rocks of Stonehenge were transported may finally have been solved. A new study claims the huge hunks of hardened earth and minerals were moved from Welsh quarries on a ‘stone highway’ encompassing roads and rivers. Experts have long been baffled by how the massive boulders were transported from Wales to Salisbury Plain. Now, they believe they may have found the source for the stones as well as the route used to deliver them from Pembrokeshire to Wiltshire. The smaller bluestones come from Pembrokeshire, and the huge sarsens come from Marlborough Downs. However it is unknown where the sandstone of the main Altar Stone originates, but Richard Bevins of the Museum of Wales and Rob Ixer of the University of Leicester told The Times that it “very probably” came from the Senni Beds which go from Llanelli to Herefordshire. 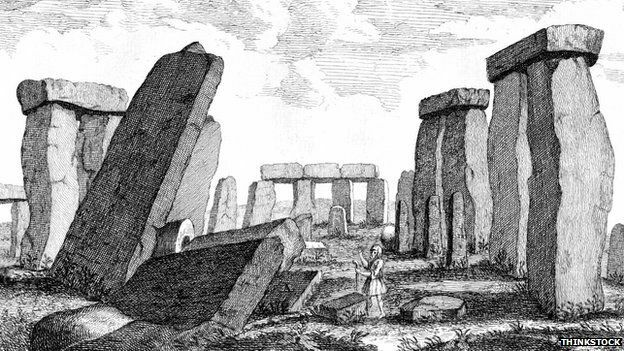 Stonehenge was built in three stages, with some parts being a huge 5,000 years old. The outer bank of Stonehenge was made in around 3000 BC, while the stone settings were built in 2500 BC. THE community that built the Neolithic causewayed enclosure at Larkhill may have been the architects of the Stonehenge landscape, archaeologists believe. The causewayed enclosure, which dates between 3650 to 3750 BC – pre-dating Stonehenge by 600 years, was uncovered by archaeologists from Wessex Archaeology in 2016. Si Cleggett, project manager and archaeologist at Wessex Archaeology now believes the community who built the causewayed enclosure may have been more closely involved in the planning of Stonehenge than previously thought. Causewayed enclosures are believed to be meeting places, centres of trade and cult or ritual centres to name but a few. They are only 70 known examples. The Wessex Archaeology teams were commissioned by WYG on behalf of the Defence Infrastructure Organisation (DIO) to undertake excavations on land adjacent to Royal Artillery Larkhill. The land, on the edge of Salisbury Plainand, immediately north of the Stonehenge World Heritage Site, has been earmarked for the provision of service family accommodation under the Army Basing Programme. Archaeologists believe there was a five post alignment at the entrance of the causewayed enclosure which were positioned almost identically to the stones of Stonehenge. Mr Cleggett said: “The communities who gathered at the Larkhill causewayed enclosure during the Early Neolithic were there 600 years before the landscape setting of Stonehenge was conceived and may have been involved in the conceptualisation or even the creation of the landscape we see today. The Larkhill site, which is 24 hectares, is the largest open area archaeological excavation ever undertaken in proximity to the Stonehenge World Heritage Site. 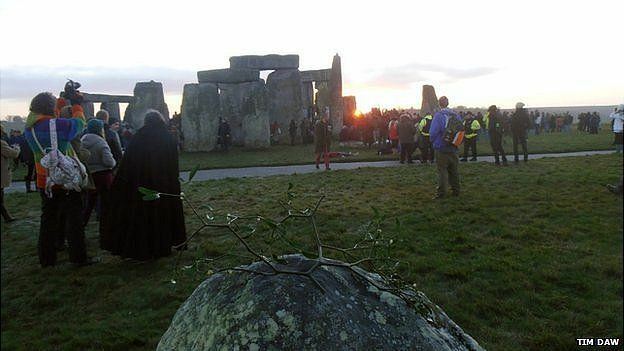 The tallest stone at Stonehenge points towards the sunrise on the midwinter solstice, according to a new theory from an English Heritage steward. Historians have long known the circle of stones is aligned with the midsummer sunrise but Tim Daw says the tallest one is lined up with the midwinter sun. It was previously thought the stone had been put back at the wrong angle when it was re-erected in 1901. But Mr Daw, who works there, says his research shows its angle is deliberate. 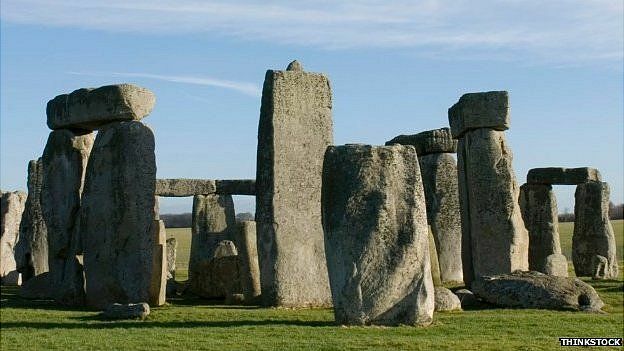 Mr Daw said: “The largest stone at Stonehenge is not where it ‘should’ be, it is twisted. “This stone, Stone 56, is the tallest one at the end of the inner horseshoe of sarsen stones. “Because it was put back to the vertical in 1901 it has been assumed that the twist is the result of the modern excavators botching the job. 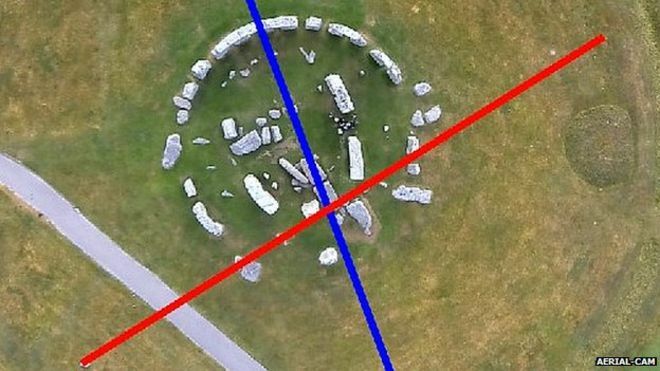 Mr Daw, who last year came up with evidence that the outer stone circle at Stonehenge was once complete, said his newly discovered alignment was at 80 degrees to the line of the axis of the monument, which points to midsummer solstice sunrise and midwinter sunset. “The stones point to the midwinter solstice sunrise and midsummer sunset,” he said. “This isn’t some nebulous sighting line on a distant star; this is 100 tonnes of stone deliberately pointing to the major event at the other end of the day the rest of the monument celebrates. “One stone out of line might be a coincidence but that it is five of the major stones, at least, shows it was a designed feature. Director of the Wiltshire Archaeological and Natural History Society (WANHS), David Dawson, said: “This is an interesting new idea which highlights the “skew” of the Stonehenge trilithons, which has been known for some time. “It highlights the significance of the summer and winter solstices at Stonehenge, and the 80 degree angle between them. “We know that the Bush Barrow lozenge, on display at the Wiltshire Museum, hints at this same significant astronomical feature. Jessica Trethowan from English Heritage said it was “an interesting idea”. Mr Daw’s theory has been published in the latest WANHS magazine.